The need for clean drinking water is one of the most pressing concerns facing a large percentage of the world’s population. It’s not only developing countries in warmer areas of the planet that have problems; parts of the US already suffer from poor water quality because of failing infrastructure, with Flint, MI, being one of the worst affected and best known. Some private companies are turning their attention to the problem by inventing machines that can literally extract water out of thin air. Humans have known about this method of extracting water for thousands of years, and nature does it too, with cacti, desert grasses, and even the Namib desert beetle, which possesses body parts designed to collect dew for drinking water. 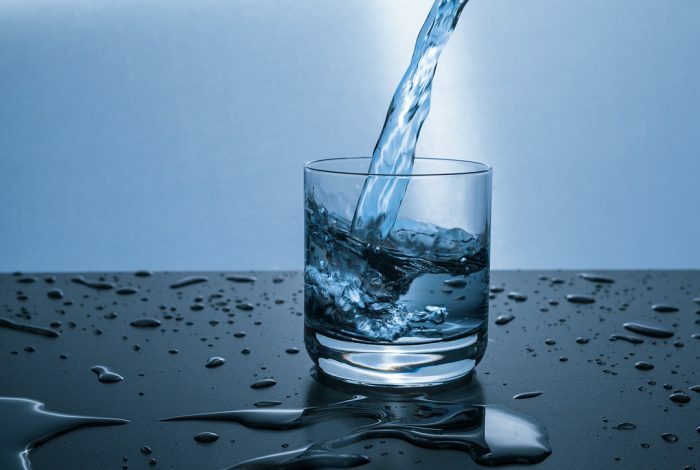 Companies around the globe are racing to release a viable cost-effective machine that can make drinking water by extracting it from the atmosphere. The machines work in the same way as dehumidifiers — but the water is saved and treated instead of poured down the drain. Air is sucked into a machine through an air filter and is cooled to the dew point — the temperature at which water vapor condenses into moisture. The water is then filtered through charcoal, treated with ultraviolet light, and nutrient minerals are added. Given the water emergency the city of Cape Town faced last year, it should come as no surprise that South Africa is forging ahead to harness this technology. The sleek-looking Aquaboy system offers a home solution that both cools and heats water. But another company, Watergen USA, is making waves in the US. The parent company has its roots in the Israeli military. It invented its mobile drinking water technology to fit onto the sides of tanks to simplify the logistics involved with fighting in the desert, carrying gallons of water. It is planning on opening “three or four plants” in the US in the next year, CEO Yehuda Kaploun said in the first featured video this week, and its “Genny” water-dispensing unit was an honoree at the 2019 Consumer Electronics Show awards earlier this year. The company’s water trucks have gone to disaster-struck areas — such as Port Arthur, TX, after the floods there last year. “As long as we have power we are able to create water,” says Kaploun. But what if there is no power? A company based in Arizona has the answer to that. Zero Mass Water has created an atmosphere water system with built-in solar panels. And what happens when there’s little humidity? Would the technology still work? It would, according to company CEO Cody Friesen, who says, “If you can make water out of the air in Arizona passively, you can do it anywhere.” The technology needs 35 percent humidity to start producing water, which is found throughout 75 percent of the earth. Zero Mass Water’s “Source” panel sets are in use in 10 countries so far, including Puerto Rico, where they were shipped and rigged up after Hurricane Maria. The second video is a charming South African explaining how one of these units works. The last is a CBS This Morning piece featuring Zero Mass Water.